If you have the Electric Hanging Mill, please choose this shaft: Product ID 1023666 ! If you have the Electric Grinding Mill , please choose this shaft Product ID: 1052855. If you want the spare blades, please click here: Product ID: 1054347. Mainly used for wood, furniture carving, antique floor carving, bonsai, toys, figures, animals and other sculpture works. Professional engraving, amateur, students can use. Even if the fingers touch the blade vibration, will not damage the cutting fingers. Scope: wood, ebony, soft plastics, etc. 1. Can be hand carved 1/3 of the force, 3 to 5 times the speed of engraving, without fatigue. 2. High speed vibration of 25000 times per minute is generated after the knife head touches the wood, and it is carved with the ultra high speed vibration. 3. Can save two-thirds of the force of usual hand-carving. 4. Shell is a solid, cooling efficiency is excellent, very safe. 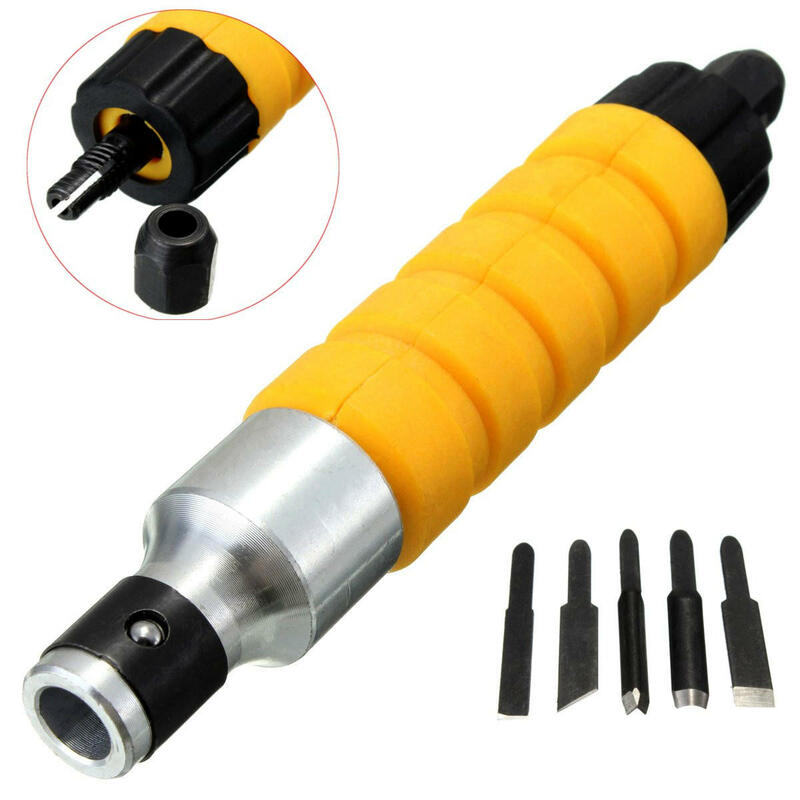 To be equipped with flexible shaft, because the chisel is through a flexible shaft link, cannot work alone! And the flexible shaft is not included in the product. Need to be linked with desktop polishing machine, hanging mill, grinders and other machines with flexible shaft speed not higher than 12,000 rpm.